I recently had my EOS 5D Mark IV upgraded to C-log, and it has had a firmware update to version 1.1.0 installed. This firmware update isn’t available to download from Canon as yet. 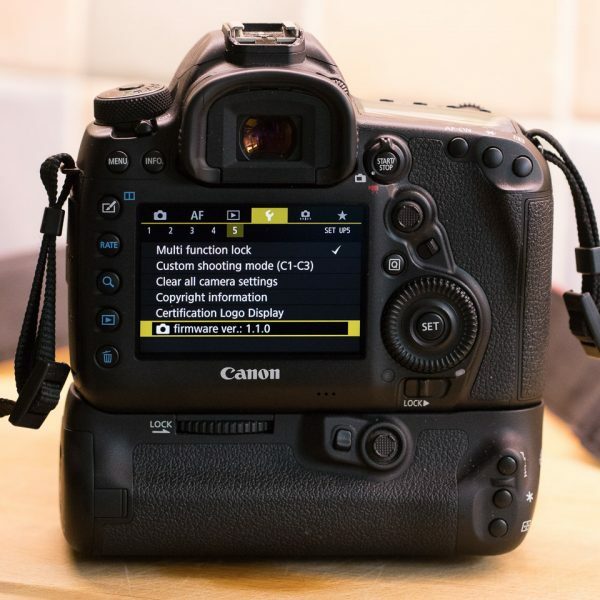 I found a recent product advisory notice on Canon USA’s website, that the firmware update for the EOS 5D Mark IV, originally planned for the end of February 2018, had been delayed to end of March 2018. It’s quite possible that the Canon UK service facility, that carried out the C-log update on my camera, has the new firmware already, and is installing it in customer cameras. I expect that we’ll see it available for everyone to download soon. According to the advisory notice, the firmware update addresses some issues with the four tilt-shift lenses launched last year and adds support for Exif 2.31. Do please keep a check on my continuously updated EOS camera firmware update page to make sure you have the latest firmware in your cameras.